Archive of 2008 PNC Info. ** Data from October thru December was lost in a Computer Crash. Most of what follows was archived at www.archive.com. 10/21/09 - The November, 2009 color issue of Coil Line has been posted. Members who elected the electronic version should receive the URL in a couple of days. This issue contains your Dues Renewal Form on the back page. on number) only every 20 stamps. You will need a strip of 20 for a PS11 and a strip of 40 for a PS21. USPS item number-782100. This is the tagged version of this coil. Unlike the original S3333333, this printing has no black line every 20 stamps. 10/1/09 - The October 2006 issue of Coil Line is now online in the 'Reference' section. 9/30/09 - The October, 2009 issue of Coil Line, both bulk and first class, went in the mail yesterday. 9/27/09 - The October, 2009 issue of Coil Line has been posted. Members who elected the electronic version should receive the URL in a couple of days. 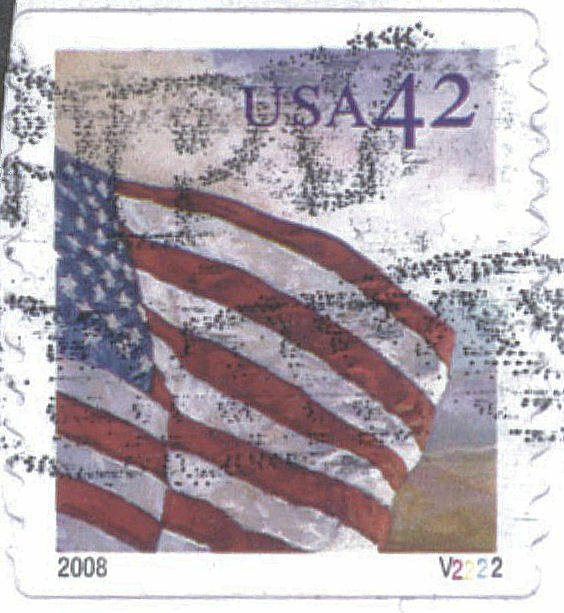 9/14/09 - Scott Publishing Company has assigned the following catalog numbers to the 44� Flags of Our Nation coil stamps: 4293 to 4302. 9/2/09 - The September 2006 issue of Coil Line is now online in the 'Reference' section. 8/26/09 - We are happy to announce that through the efforts of PNC3, and Frank Covey in particular at the APS StampShow, Del Campe, the internet auction site, has created a category for Plate Number Coils. Visit Del Campe by clicking on the following link. 8/22/09 - The September, 2009 issue of Coil Line has been posted. Members who elected the electronic version should receive the URL in a couple of days. 8/14/09 - Technical data has been posted for the 44� Flags of Our Nation, set 3, which was issued on August 6 at the APS StampShow in Pittsburgh, PA.
8/05/09 - A reminder that our Annual Membership Meeting is this coming Saturday at the David L. Lawrence Convention Center in Pittsburgh, Pennsylvania during the APS StampShow at 1 p.m. We will also have our Board Meeting at 9 a.m. I'm looking forward to seeing our members there. 7/31/09 - The August 2006 issue of Coil Line is now online in the 'Reference' section. This is the first issue of Coil Line that has color pages with two pages in color. 7/29/09 - The August, 2009 issue of Coil Line has been posted. Members who elected the electronic version should receive the URL in a couple of days. 7/28/09 - The August, 2009 issue of Coil Line, both bulk and first class, went in the mail yesterday. 7/21/09 - The Consignment Page for Auction #41 has been posted. The deadline for lots is August 20th. Auctioneer Joe Sedivy has to have the lots in his hands by that date. 7/16/09 - On August 6th, the U.S. Postal Service continues its Flags of Our Nation stamp series with 10 more stamp designs. This will be set three of six. The stamps, arranged alphabetically in strips of 10 and sold in coils of 50 (five strips of 10 designs in each coil), feature the states of Kentucky, Louisiana, Maine, Maryland, Massachusetts, Michigan, Minnesota, Mississippi, Missouri, and the USA (Waves of Grain) flag. The first-day-of-issue dedication ceremony takes place August 6 at the American Philatelic Society Stamp Show in Pittsburgh, Pennsylvania. According to the July 16 Postal Bulletin, the fourth set of the Flags of Our Nation series will be issued next year in 2010. The fifth set is scheduled to be be issued in 2011 and the sixth in 2012. 7/15/09 - Renate Fearonce in Tucson announced that the Tucson Philatelic Office will be closed permanently on July 24. She is retiring on July 31st and the office will no longer exist. Best Wishes on your retirement Renate! 7/10/09 - Thanks to David St. Maurice for catching the issue date error on the 28� Polar Bear self-adhesive coil of 100 data page . 7/01/09 - The July 2006 issue of Coil Line is now online in the 'Reference' section. 6/29/09 - The July, 2009 issue of Coil Line, both bulk and first class, went in the mail today. 6/22/09 - Scans of both the 3,000 and 10,000 coil versions of the 2008 1� Tiffany Lamp have been added to the data page. Except for the back number difference; the 3,000 coil has 4 digit pink numbers and the 10,000 coil has 5 digit pink numbers, there does not appear to be significant differences in the two printings. The colors in the lamp appear to be subdued on the 10,000 coil compared to the 3,000 coil. (Corrected 7/1/09) If you find any other differences, please let us know. 6/18/09 - The July, 2009 issue of Coil Line has been posted. Members who elected the electronic version should receive the URL in a couple of days. The printed version will go in the mail about June 29th. 6/13/09 - Renate Fearonce in Tucson announced that she has the following coils in stock: the 44� American Flag coils of 100 printed by Ashton Potter and Avery Dennison. The Avery coils are Peak/Valley. Renate also announced her retirement, effective the end of July. See the complete email right under the stamp announcement by clicking on her name above. 6/12/09 - The 17� Big Horn Sheep coil of 100 has been reprinted and the tagging is now prephosphored with a Smooth appearance. The plate number remains the same. Somehow I missed the 28� Polar Bear coil of 100. The Scott number for that is 4389. All of the affected data pages and lists have been updated with the new numbers. 6/09/09 - As a follow up to the report yesterday, Doug Iams reports that he bought a roll locally Saturday. I also bought one locally today. 6/08/09 - This is just an alert that the 44� Ashton Potter American Flag coils of 100 are out there. I've had two reports; one a used stamp postmarked in 'Eastern Pennsylvania' and another where the collector purchased a strip of 10 stamps with plate P1111. 6/03/09 - The results for Auction #40 have been posted. 5/31/09 - The June 2006 issue of Coil Line is now online in the 'Reference' section. 5/26/09 - The June, 2009 issue of Coil Line, both bulk and first class, went in the mail yesterday. 5/22/09 - The June, 2009 issue of Coil Line has been posted. Members who elected the electronic version should receive the URL shortly. 5/21/09 - Donna Rajotte in Providence announces that she now has the Avery Dennison 44� American Flag coil of 100 with plate V1111 every 20 stamps. The die cut is Peak/Valley. 5/15/09 - Tentative data has been posted for the 44� American Flag coils of 100 printed by Ashton Potter, Avery Dennison and Sennett Security. 5/14/09 - Tentative data has been posted for the 44� American Flag Water-Activated coil of 3,000 and the Self Adhesive coils of 3,000 and 10,000 issued May 1. Data on the 1� Tiffany Lamp reprint has been posted. 5/8/09 - Both Renate Fearonce in Tucson and Donna Rajotte in Providence have many of the new rate change coils. Bob Rabinowitz sent the attached scan. Note that the stamp on the left is lower than the other stamps. Every PS5 in the roll as well as other rolls that he examined appears this way. Bob notes that he will let the printing experts figure this one out. 4/28/09 - The May 2006 issue of Coil Line is now online in the 'Reference' section. 4/27/09 - Scans and tentative technical details have been posted for the 28� Polar Bear self-adhesive coil of 100. John Himes notes the following concerning the die cuts: ″I got 7 rolls of the new Polar Bears from Providence. What a mess!!!! They are all misperfed in an odd sort of way. The die cuts drift on the strips every 25 stamps. It's like they start normal, then the die cut starts drifting upward, then they have a few bells, or a few thimbles, or a few knolls, getting more exaggerated as they go, then at stamp 26, it shifts back to a normal die cut, either P/V or V/P. Then the slow die cut drift starts over for 25 more stamps. Since the plate number interval is 20 stamps, some of the PS5s or PS7s show the break between the odd die cuts and the normal ones." PNC3 refers to these as Dramatic Die Cut Shift Varieties. 4/21/09 - The May, 2009 issue of Coil Line and the Membership Directory have been posted. Members who elected the electronic version should receive the URLs shortly. 4/18/09 - A link to the new postage rates effective May 11, 2009 has been posted in the USPS navigation bar on the left. 4/16/09 - Both Donna Rajotte in Providence and Renate Fearonce in Tucson report that they have the 28� Polar Bear stamps in PSA coils of 100. They have plate number V11111 every 20 stamps, and they are all Peak/Valley. Donna and Renate also have the panes of 20 and the Koi postal cards. 4/10/09 - We are looking for (at least) 5 Members to share the PNC collecting passion on the Internet. This is a chance to promote our hobby with just a few hours of your time, and there is NO Internet Expertise Needed. As you may have read in the March edition of American Philatelist, the American Philatelic Society (APS) monthly journal, Wade Saadi, APS President and a PNC3 life member and Janet Klug (neither of whom had prior YouTube experience) each put together a 2 minute video illustrated with stamps, highlighting a personal stamp topic they feel passionate about. Wade�s video is about toy trains and Janet�s is about cats. The results so far are amazing and have gathered hundreds of viewers on YouTube. The best part is neither spent money nor much time in making them. You can check out these short videos on the APS YouTube Page at (http://www.stamps.org/videos). The potential of this popular media to attract new potential collectors is fantastic. But we need more of these stamp-illustrated videos. If we can get at least 5 members to commit to put together a similar video, hopefully featuring PNCs and upload it to YouTube, we could surely have a high impact in very little time. The APS coordinator, Omar Rodriguez, is asking that interested collectors contact him at APSYouTubeOmar@aol.com. He will send an email with more details and provide more information and instructions on how to create videos. A video camera is not indispensable. APS has also set up a YouTube competition. The winner will win a $250 gift certificate redeemable for APS products or services. The video must be uploaded before June 30, 2009. Short, simply told themes of any type are perfect for this objective. Any topical or history of a specific theme has the potential to attract a lot of internet visitors. You need not be an internet expert. We just need enthusiastic folks with computers who are willing to take a few hours of their time to create a home made video and upload it in YouTube. 4/3/09 - Rich Nazar has posted an updated free Microsoft Excel listing of PNCs on the Internet at http://www.usastamps.com/references/PNC_Catalog/Numbering_System/Basic_PNC_Catalog_Numbers.xls. The list includes all known PNC plate numbers and major production varieties. The listing is part of Nazar's on-line description of the numbering system developed for The Plate Number Coil Catalog. The web site (http://www.usastamps.com/references/PNC_Catalog/Numbering_System/Basic.htm) also provides an overview of the collectible specialties within PNCs and explains how the mnemonic numbering system eliminates the need to memorize standard catalog numbers. 2/12/09 - There have been two changes on the Member Dealers page. Vic Collinino has a new email address: vimco@myfairpoint.net. Robert Murrin has a new price list offering: Bob Murrin announces the expansion of his used pnc list to include purple machine cancels and untagged errors. His Pl-103 contains used singles, as well as multiples, listings of all W/A and S/A issues, and quantities of used such as 100, 500 and 1000. This list is available online or through the mails. 80 cents postage helpful, overseas, 2 IRC's, used or unused, any period. Pricelists also available for EFO's (Pl-105) and unused strips (Pl-108). Bob Murrin, P.O.Box 10100, St. Petersburg, FL 33733-0100. Phone: 727-345-8639, email: murrin@gte.net or bmurrin@yahoo.com. 2/11/09 - The February 2006 issue of Coil Line is now online in the 'Reference' section. 1/20/09 - I can now confirm the existence of both Valley/Peak and Peak/Valley die cuts on the 24/7 Flag coil of 100 with plate combination V2222. The data page has been updated. 1/16/09 - On the right is a computer enhanced scan of the 24/7 Flag V2222 mentioned yesterday. I scanned the stamp twice, once right side up, and again upside down, so that the scanner 'shadow' would highlight both the top and bottom edges. Once that was accomplished, I merged the two scans so that the round corners are clearly visible on three of the four corners. The upper left corner is not as well defined because of the close cut and the close proximity of the cancellation. I verified, using a 10x magnifier, that all four corners are rounded, and the stamp is indeed from a larger coil. The cancel is a spray-on with "Happy Holidays", which indicates that the stamp was used during the 2008 holiday season. The stamp is a cut square, so there is no clue as to where it originated. The original envelope is not available. 1/15/09 - Today I received another confirmation that plate V2222 exists on a large, probably 3,000, coil. This was first reported here on November 29, 2008. To date, no mint rolls have been reported. The finder states that all four corners are rounded. I should have the stamp in my hands for scanning by Saturday. 1/11/09 - Linn's Stamp News, in an article in the January 19, 2009 edition shows a strip of the 2003 snowy Egret coil with the black ink omitted. Jay Bigalke, the author of the article, states that the strip came from a roll with plate number V2111. James Kloetzel, Scott Catalog editor, says that the error will be listed in the 2010 Scott Catalogue. 1/4/09 - An entry for "Dropout Printing" has been added to the Glossary, which can be found in the 'Reference' Navigation Bar on the left side of this page. 1/2/09 - Sets 3 and 4 of the 50 coil Flags of our Nation series are pictured on the pull out insert bound in the Spring 'USA Philatelic' catalog. According to the Virtual Stamp Club, set 3 will be issued June 12th and feature stamps of Kentucky, Louisiana, Maine, Maryland, Massachusetts, Michigan, Minnesota, Mississippi, Missouri and a U.S. Flag and golden grain. Set 4 will be issued September 4th and will start with a Flag stamp with a mountain, followed by stamps featuring Montana, Nebraska, Nevada, New Hampshire, New Jersey, New Mexico, New York, North Carolina and North Dakota. If past practice is any indication, the plate number will be on the Kentucky stamp and the Purple Mountain Flag stamp. All stamp designs are copyright and are provided by the United States Postal Service and are considered preliminary and subject to change until such time as the First Day of Issuance.